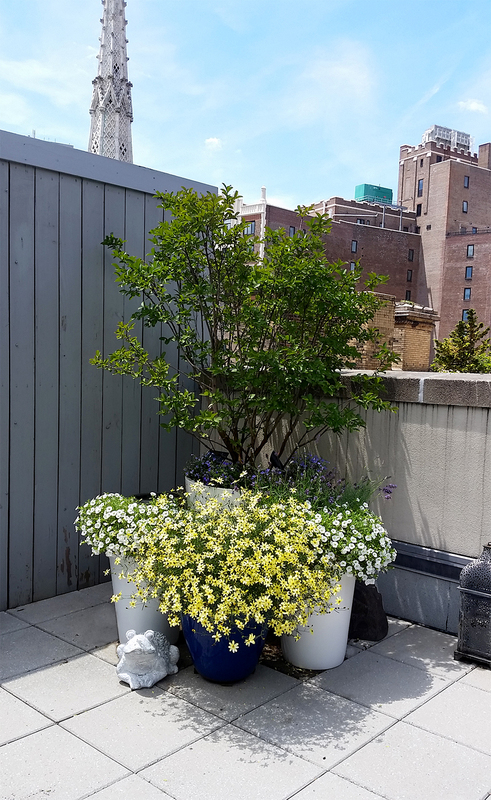 This established rooftop terrace needed a refresh with accessories and a few more planters. We pruned the evergreen Ilex glabra to a full hedge behind the sofa, added Miscanthus grass and rearranged a few planters. 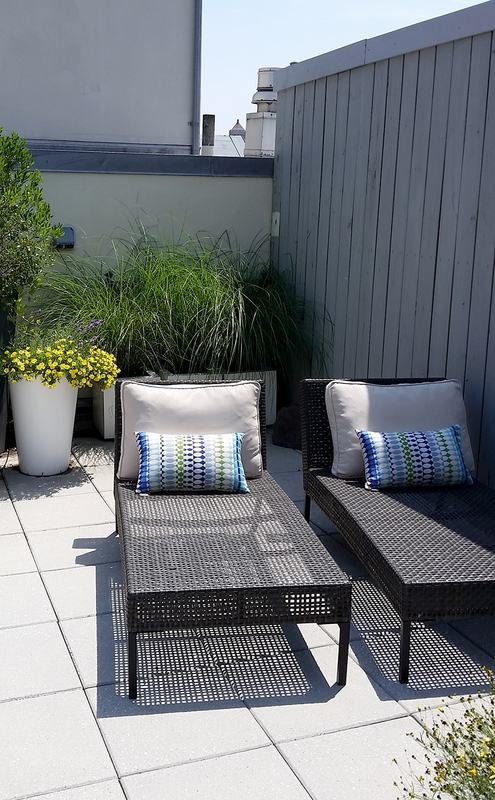 Perennial lavender and agapanthus were added for the blue in the blue and yellow theme and coreopsis for the yellow. 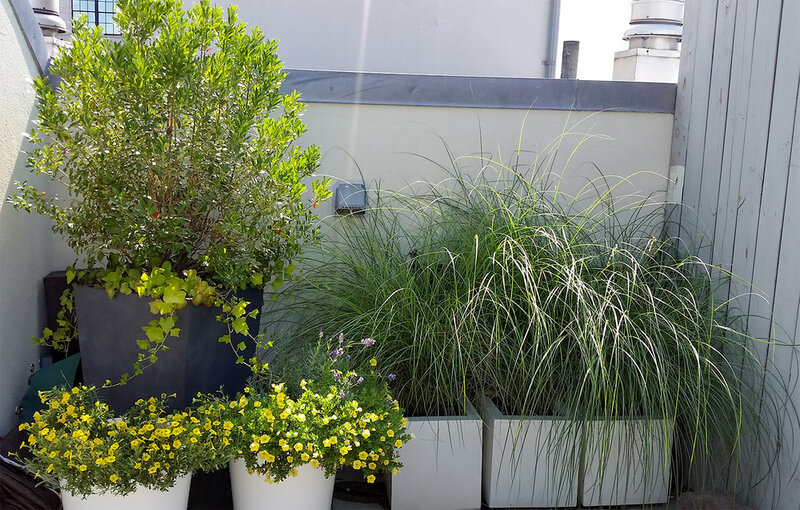 An abundance of annual calibrachoa in white and yellow cascade from white pots lasting far into cooler autumn weather and blue lobelia underplanted the largest shrubs. A blue and white paisley rug was added along with colorful throw pillows and two white bowls of succulents thrived in one of the hottest summers on record.